SANTA FE – State Game Commission properties in the Santa Fe National Forest, including campgrounds and fishing areas in Pecos Canyon are under Stage 1 fire restrictions because of extreme fire danger. Adjoining areas in the forest are also under Stage 1 restrictions. Stage 1 restrictions limit campfires and charcoal grills to designated camp and picnic grounds. Fires must be safely contained within a department provided fire ring within developed recreation sites. Smoking is permitted only in vehicles, buildings or in developed recreation sites. Possessing, discharging or using any kind of firework or other pyrotechnic device is prohibited. Gas and propane stoves, lanterns or heating devices are permitted provided such devices meet the fire underwriter’s specifications for safety and have on/off switches. Game Commission properties in Pecos Canyon remain open for fishing, camping and picnics. They include the Dalton, Bert Clancy, Terrero, Mora and Jamie Koch areas. Fire restrictions also apply to Monastery Lake, Links Tract, fish hatcheries and other commission-owned or leased properties. 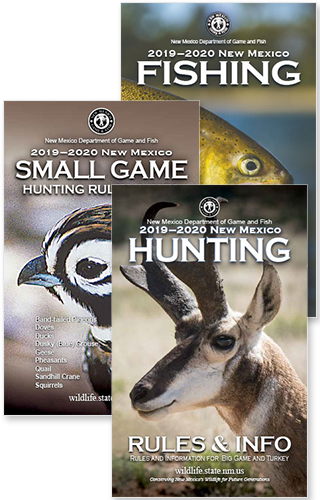 Individuals 18 and older camping, hunting or fishing on the Game Commission-owned properties must have a valid hunting license, fishing license, trapping license, or a valid Habitat Management and Access Validation.